Blue Jays right-hander Marco Estrada has seen his effectiveness decline in the season’s second half, and Jon Morosi of FOX Sports and MLB.com sheds some light on his struggles, reporting that Estrada has been pitching through a herniated disk in his back (Twitter link). Estrada has previously received cortisone injections in his lower back this season, though at the time, he was only reported to be dealing with inflammation. Originally acquired by the Blue Jays after the 2014 season in a trade that sent Adam Lind to the Brewers, the now-33-year-old Estrada broke out with a career year in 2015 and re-signed in Toronto on a two-year, $26MM pact this offseason. The first half of the season looked to be a continuation of Estrada’s excellence, as he pitched to a 2.93 ERA with a 99-to-39 K/BB ratio in 104 1/3 innings of work, but he’s stumbled to a 5.47 ERA since the All-Star break as his home run rate has increased and his average innings per start has decreased. Estrada has completed six innings just twice in his past eight starts and, overall, has averaged fewer than 5 1/3 innings per start since the Midsummer Classic. It’s not yet clear how (or if) the Blue Jays plan to address the injury in-season. Estrada surrendered four runs in 5 1/3 innings last night but is still listed as the team’s probable starter when his spot in the rotation arises again on Sept. 19 in Seattle. But, Estrada’s condition certainly represents another rotation problem for a Blue Jays team that has made a well-publicized effort to limit Aaron Sanchez’s innings and is currently deploying a six-man rotation. Liriano, Sanchez and Estrada are joined in the starting corps right now by J.A. Happ, Marcus Stroman and R.A. Dickey, so certainly the team has the depth to put together a solid playoff rotation even if Estrada isn’t well enough to be a part of it. However, getting to the postseason, at this point, isn’t a given. The Jays currently hold the second Wild Card spot in the American League and trail the Red Sox by two games in the division (with the Orioles one game up on Toronto as well). 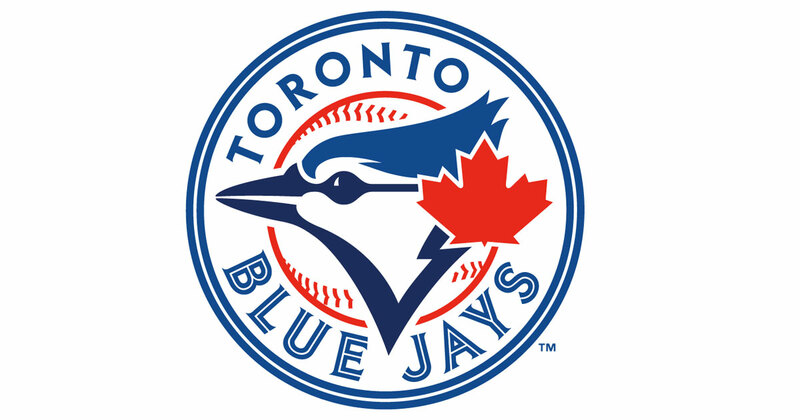 The Blue Jays largely control their own destiny, though, as their final six games of the regular season will be a three-game home set against the Orioles before traveling to Fenway for their final three contests. That’s not surprising, you could tell there’s been something wrong with him for a month. As I mentioned below, Estrada’s been dealing with a his since mid-April and had a DL stint that cost him his All Star spot. It’s only getting more attention because the Jays are doing their best Tom Petty impression(Free Fallin’) and he’s hit a wall in the 5th and 3rd innings in his last 2 starts. yes but injuries linger and usually only get worse. sure when he was fresh at the start he pitched through but you can’t ignore the fact he has struggled for over a month now. His past few starts have started off very well before he hit a wall in the middle innings. In fact he set a Jays record by K’ing the first 5 batters in his last start. The Jays and Estrada himself made the decision for him to pitch through it and only see minimal DL time and that decision is coming back to haunt them. I firmly believe part of his and the rest of the rotations problems have stemmed from the 6 man rotation experiment. The pitchers were rolling along before that and have since struggled due to their routines being disrupted. > I firmly believe part of [Estrada’s] and the rest of the rotations problems have stemmed from the 6 man rotation experiment. Good to have a doctor in the comments section diagnosing a patient he has never examined. A rare treat. So, doc, in specific medical terms, how exactly does getting an extra day of rest make a herniated disk WORSE? Not sure why he is agent would allow this as he is not doing neither him or the team much good. He’s been pitching through this all season. It’s only a major concern now because he’s been hitting a wall in the 5th and 3rd inning respectively in his last 2 starts. No, it’s a concern regardless. It should be a concern from the start. Average Joe only cares now that him, and the team, are struggling. His agent and his team should be concerned irrespective of that. I definitely worded that poorly. What I meant was that it’s getting attention now because he’s struggling. When he was rolling through the first half, it was only mentioned casually by Buck and Pat during broadcasts. I firmly believe he should have spent more time on the DL after the All Star break but the team wanted to win and Estrada wasn’t complaining.